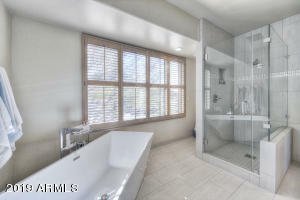 This Santa Fe contemporary features 3 lg. 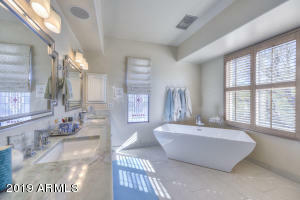 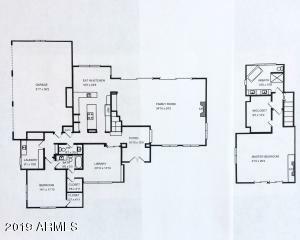 bdrms & 2.5 baths. 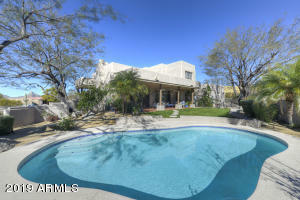 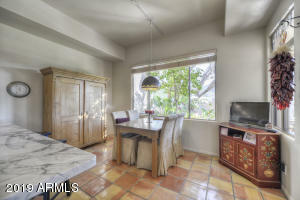 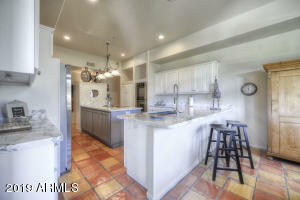 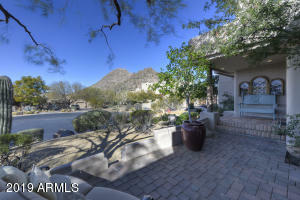 Situated in a gated friendly community on a large corner lot with lush landscaping & shade trees. 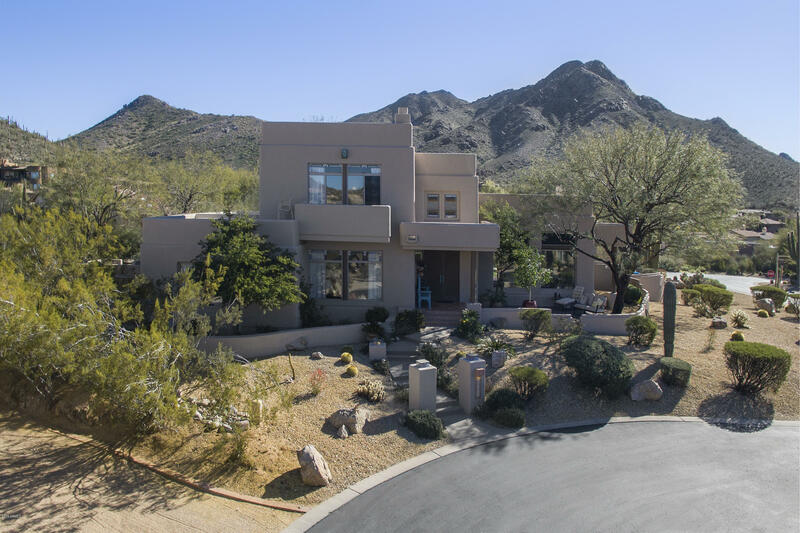 With extraordinary mountain views in all directions, it has walls of windows and authentic finishes of tile, wood flooring, & granite. 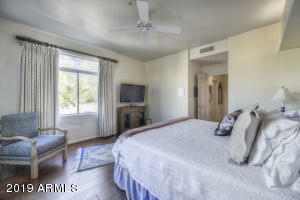 Extensively remodeled & updated in 2017-18 and maintained with pride. 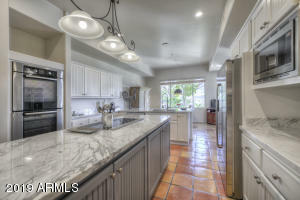 Bosch appliances & marble counters in the kitchen. 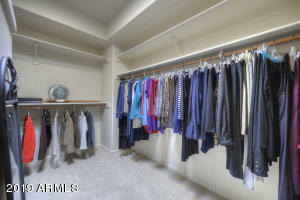 The large room sizes are in high demand. 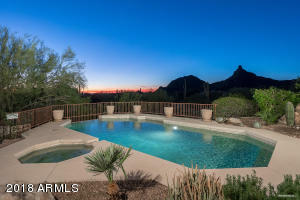 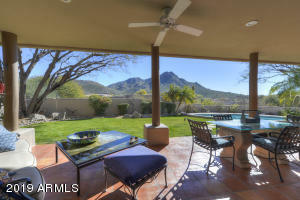 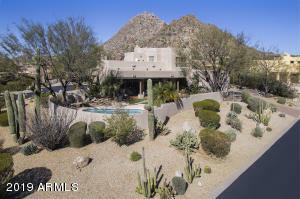 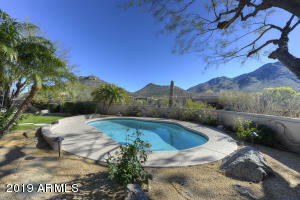 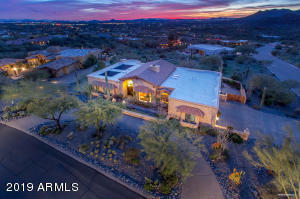 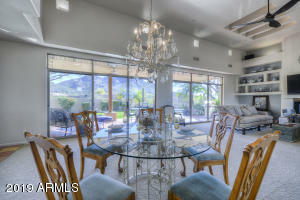 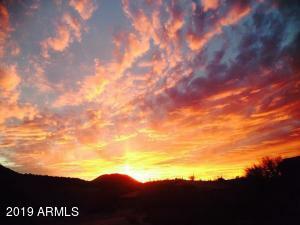 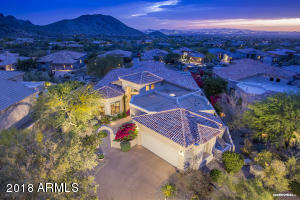 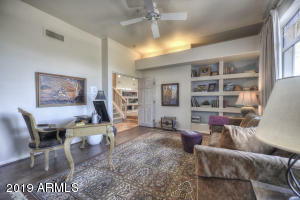 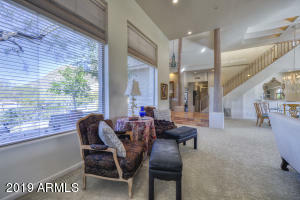 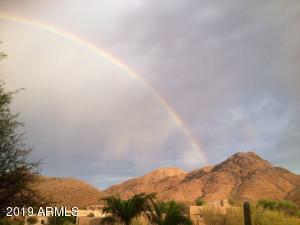 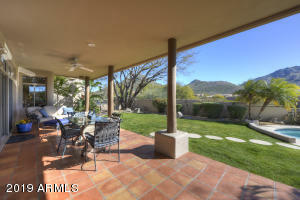 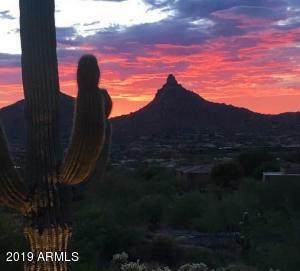 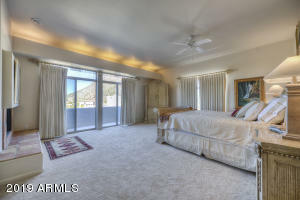 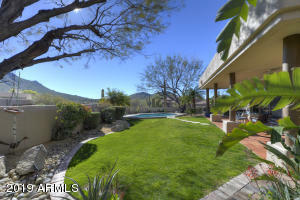 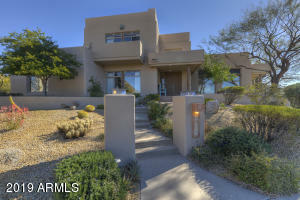 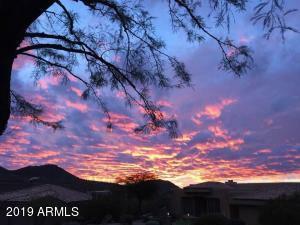 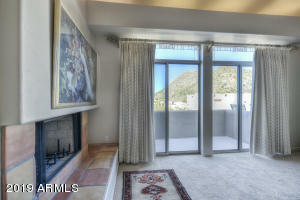 The master retreat w/FP & it's balcony have sweeping views of Pinnacle Peak, Az sunsets and city lights. 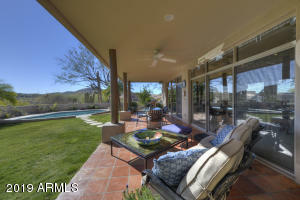 A long veranda overlooks the grass lawn & saltwater pool. 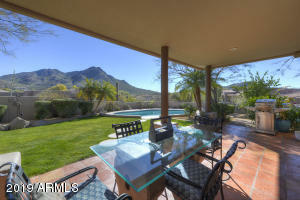 Mature roses & limes grace the backyard, all looking into those magestic McDowell Mtns. 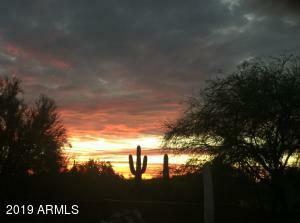 Five minutes to Troon Golf & Country Club. 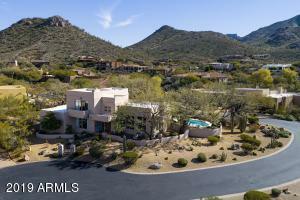 Near Fine dining, hiking & bike trails. continue E on Happy Valley Rd to 112th Place, Rt. 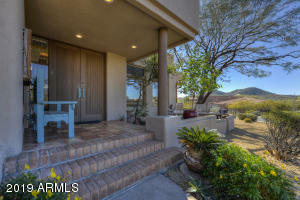 through the gate, 1st Lt. on to Mariposa Grande. 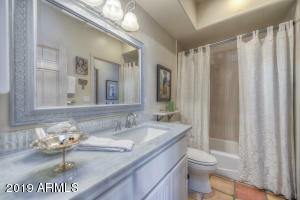 1st Lt. on to 112th Way. 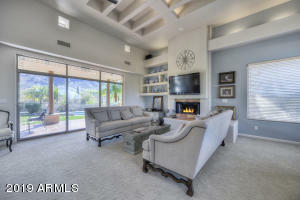 Home is on Rt of CDS.